5 Bedroom Detached House For Sale in Bretforton Road for Asking Price £649,000. Plot 11 is ready to move into! Uniquely built in the style of property from the Arts and Crafts period to include clay tiles, traditional brickwork and tall chimneys complete with decorative corbelling. 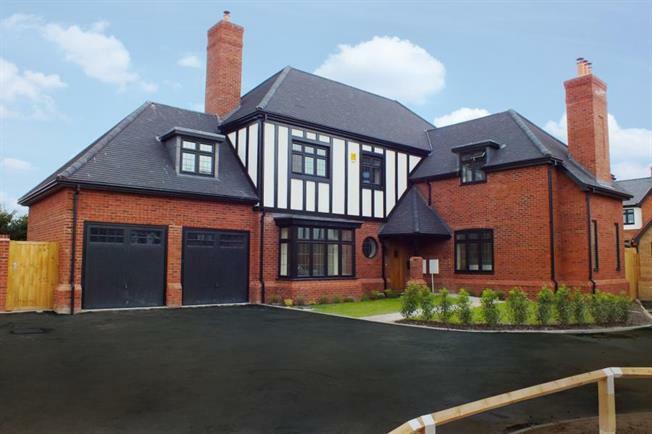 This magnificent home offers well-proportioned accommodation which will amount to just under 3,000 sq ft when completed. Features include an Oak entrance door to an impressive central reception hall with staircase to a galleried landing. There are three generously proportioned reception rooms boasting 10' ceiling heights, windows to the front and working fireplaces. The professionally designed kitchen offers a choice of styles and surfaces to suit the individual buyer and will include integrated Bosch appliances. Upstairs there are five double bedrooms all with fitted wardrobes and 9' ceiling heights; these are all served by four en-suite bath/shower rooms (one being a shared Jack and Jill arrangement) and some of the bedrooms enjoy distant views. Double width driveway to the front which provides parking and access to a double garage, landscaped gardens extend to the side and rear. Please note all photos are for show home plot 9 and may not necessarily reflect the same accommodation, fittings or fixtures.